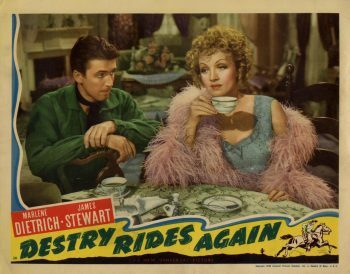 Destry Rides Again (1939) — Directed by George Marshall. When a tough western town needs taming, the mild-mannered son of a hard-nosed sheriff gets the job. $2 members, $4 public. Advance registration appreciated.